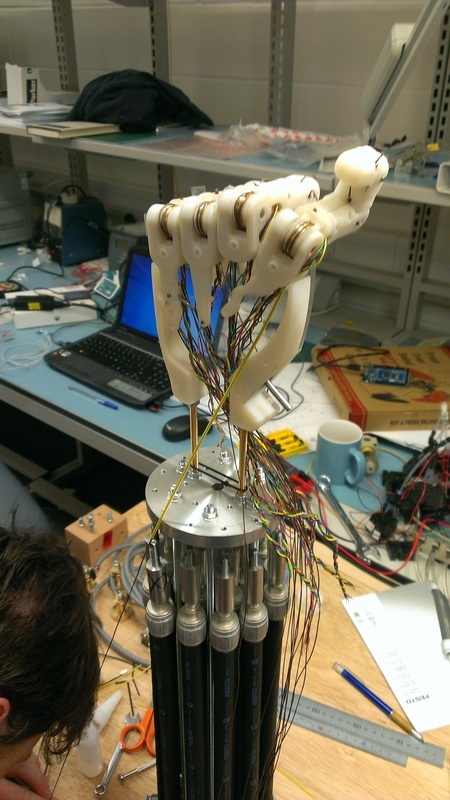 This project, my masters year group project, was to design an 'ambidextrous' robot hand. 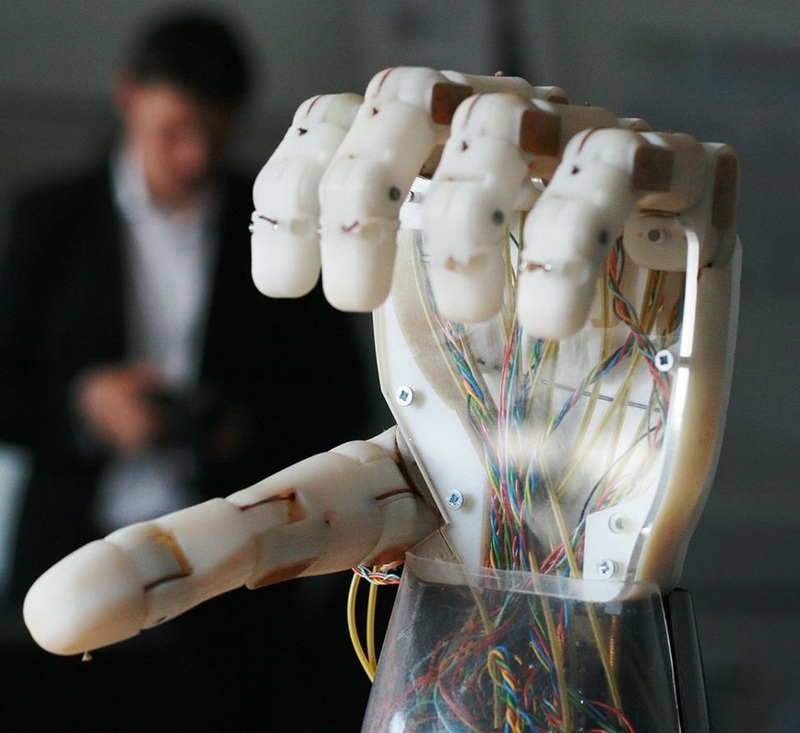 The title is a bit of a misnomer - the goal was a hand that could assume the form of either a right or left hand. 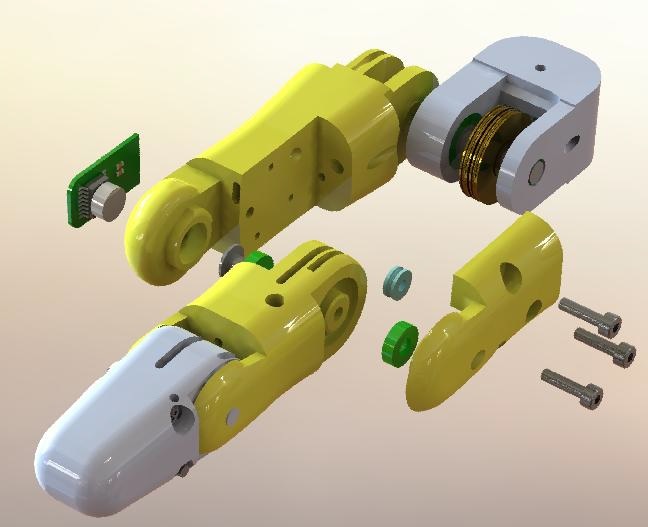 I designed the final implementation of all four robot fingers, designed and built the electronics and PCBs for the angular position sensors, wrote the interfacing code for the sensor ICs, and helped fabricate many of the machined parts. 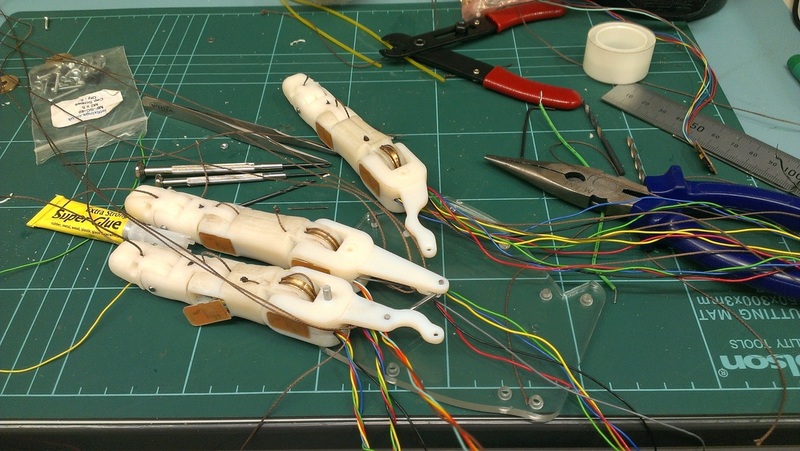 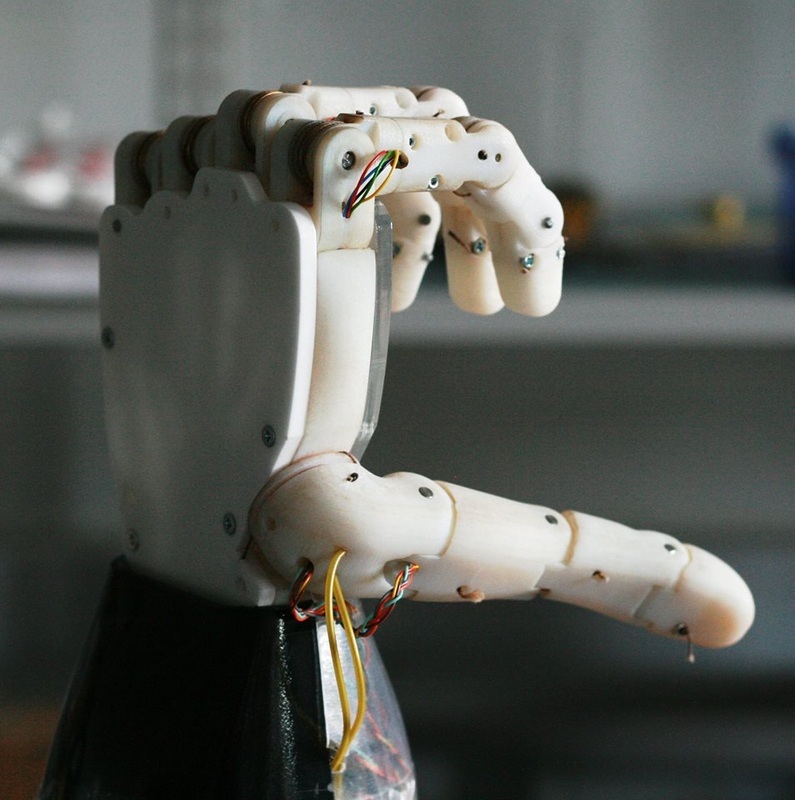 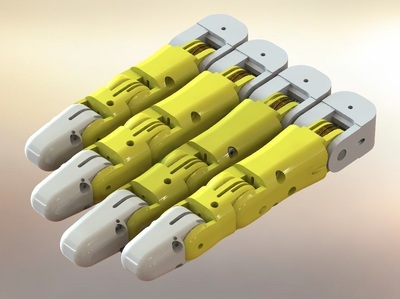 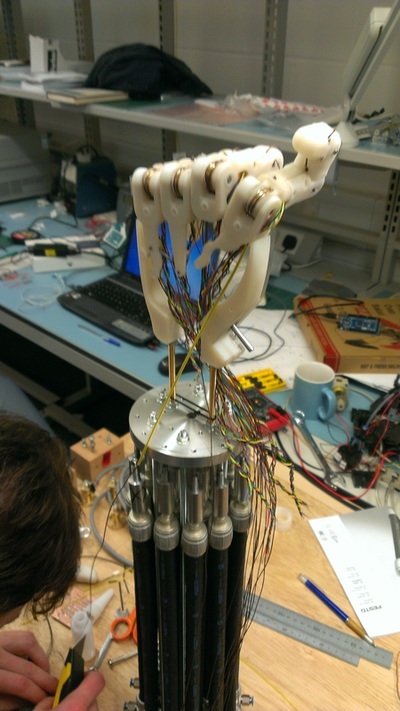 The hand is driven by Festo pneumatic muscles, and each finger is fully constrained in 2-DOF (excluding lateral movement) by three tendons, and most of the finger parts are 3D printed.